KAMPALA – The government recently blocked the screening of films on the 1994 Genocide Rwandan Genocide which were to be shown in the city earlier this month. 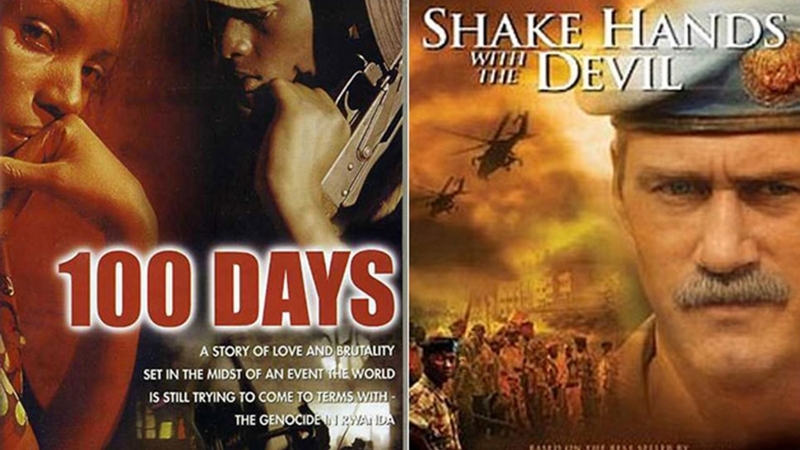 The films ‘100 Days’, a movie which takes viewers through events of what happened during the Genocide, and ‘Shake Hands with the Devil,’ were set for screening on April 2 and April 9, but the Media Council of Uganda wrote to organisers demanding the films be classified and cleared for screening. They were to be screened by African Movie Night Kampala. But the screening did not happen after the Media Council of Uganda informed the organisers that they needed to secure necessary clearance first. A April 1, 2019 letter states that: “It has come to the attention of the Media Council that your film ‘‘100 DAYS’’ is set to be screened at the National Theatre, at 7:30 on Tuesday April 2nd, 2019 to different audiences and that you have been putting out advertising material of the same without having them classified as required by the law.”“The purpose of this letter, therefore, is to remind you to have your film classified to obtain the necessary clearance ahead of the scheduled premiere date so as to avoid any inconveniences. “We were scheduled to screen 100 Days on Tuesday, April 2 and 9 with permission from the producer Eric Kabera to commemorate #Kwibuka25.”Asked what is the standard regarding the cost of screening such movies in Kampala, Mr. Serugo said that they have “engaged the Media Council previously” in regards to African Movie Night Kampala’s vision of making cinema or films from or about Africa accessible to audiences. “These films already have a guaranteed audience,” he said. The timing of the letter was unusual, Mr. Serugo said.“The timing was rather unusual, sending the letter a day to the screening of 100 Days but yes, all our screenings are affected.